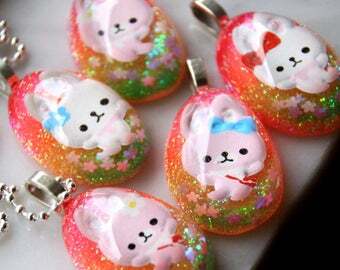 Announcement Eco-friendly resin jewelry, personalized name necklaces, galaxy rings, initial necklaces, unicorn lover gifts, glitter resin statement rings, candy sprinkles birthday party favor jewelry for girls, & more! 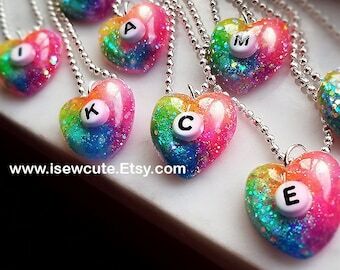 Wholesale availability on many isewcute designs. Everything you see here is made by my own two hands. 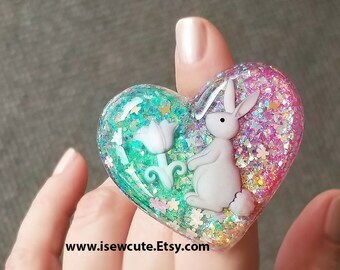 I create whimsies which you can't find anywhere else, offering unique resin jewelry for girls who love to stand out with fabulous accessories! 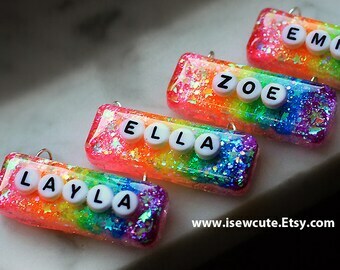 Message me about a custom order & stay sparkly! 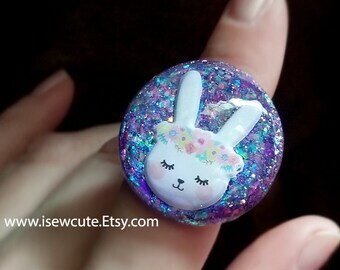 My goal is to make the world a cuter...much more sparkly place with my creations! 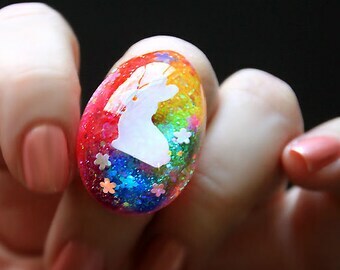 I believe in unicorns, unicorns, unicorns! It's such a sweet way to show off your special furry friend & keep them close to your heart! If you're interested in a completely bespoke custom piece, I can do that... message me to go over details & you can have a great unique custom piece for under $30! Imagine that! 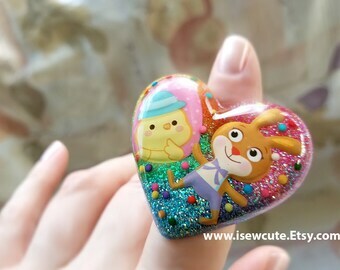 Cheaper than diamonds & even more rare, an isewcute creation is the perfect gift for someone special! Custom, personalized orders are welcome & encouraged because I'd love working on something fabulous just for you or for someone you love! *We had a baby last summer, so I'm still taking on a limited amount of custom orders at this time. 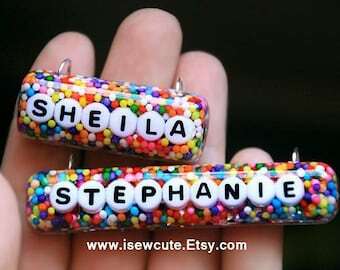 If you would like a custom creation made, please send me a message. Thank you bunches! Thank you Miley for loving my creations! You & your music have been an inspiration! 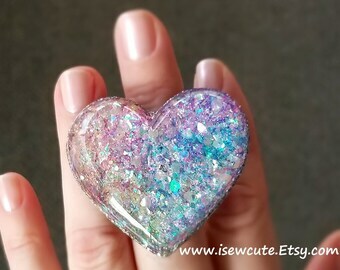 I am over the moon happy that Miley Cyrus is wearing my amazing red glitter heart ring again! She also wore my rainbow glitter heart ring on NBC's live broadcast of "The Voice" on Nov. 7th, 2016! 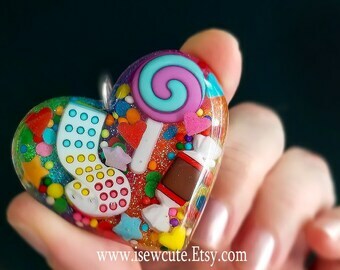 My fall party favor candy corn necklaces were featured in the Huffington Post! http://www.etsy.com/listing/64229755/featured-in-j-14-magazine-catch-a?ga_search_query=star&ga_search_type=user_shop_ttt_id_5289670 has been featured in J-14 magazine! Thank you to all for the love! 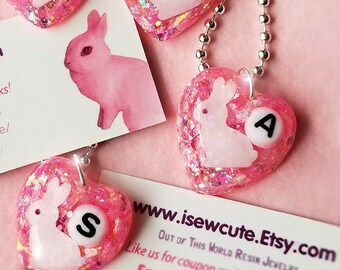 Stay sparkly & shop at isewcute on Etsy for the cutest resin jewelry, hand embroidery patterns, & more! 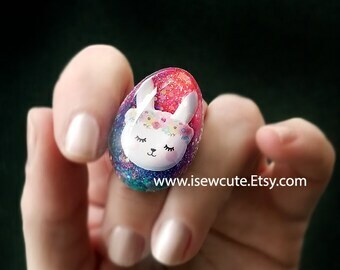 Eco-friendly resin jewelry, personalized name necklaces, galaxy rings, initial necklaces, unicorn lover gifts, glitter resin statement rings, candy sprinkles birthday party favor jewelry for girls, & more! 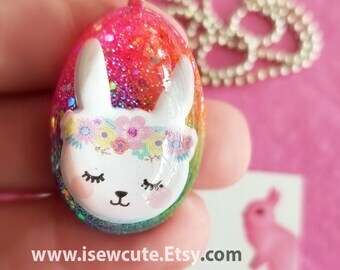 Wholesale availability on many isewcute designs. Beautiful Work , thank you again. item shipped very quickly, which is always a plus! 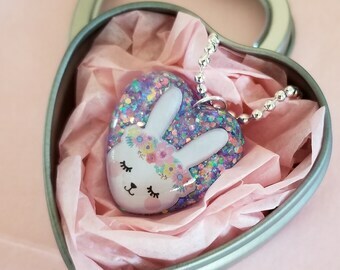 necklace is unique and adorable. gave to my daughter as an easter gift and she loves it! also received a personal card from shop owner which is sweet. amazing work and pleased with the purchase. thank you! Sewing cute is my passion. Drawing soothes my soul... & I hope to inspire others to try embroidery. My love affair with glitter & sparkles cannot be denied. Stay sparkly! I feel blessed to have my creations go to loving homes all over the world. Crafting for me is as much about the process as it is about the end result. I'm enjoying the journey thoroughly! 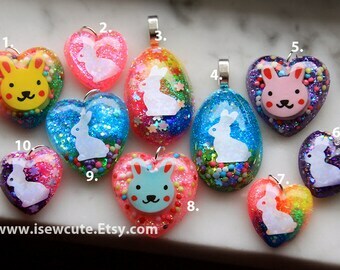 Friends told me I should start an etsy shop to share my shiny creations with the world. It sounded like fun...so here we are today! The name 'I Sew Cute' materialized from stitching my delightful little characters born in one of my many sketchbooks. After I finished embroidering one, my husband said, "that's sew-cute," & the name has stuck ever since. After a life changing diagnosis over a decade ago following a car accident, crafting has been a major part of my therapy in coping with MS. I consider myself to be very lucky...to be here, & have three wonderful children with my husband who is very supportive of my creative endeavors. I believe in living each day to it's fullest potential, filling it with music, crafting, cupcakes, photographing our bunny, Yuki. I also take time to admire the little things & not let flowers, stars, or fluffy clouds go unnoticed. Life is too short to not appreciate it all. Sometimes just for fun I spend a lot of time cruising craftster.org & participate in craft swaps. Stay crafty! Getting crafty ever since I could hold a crayon, I grew up with more than one teacher instructing me to not draw mermaids & cats in the margin of my schoolwork. I like to think that those drawings were very important in nurturing my creativity. 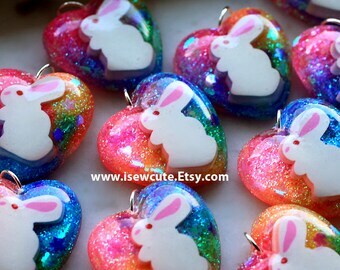 You'll see Yuki the magic bunny in our banner, as well as on some unique 'isewcute' products. She is June's muse & is a very loved & pampered house bunny. Yes! 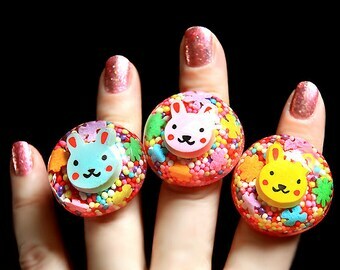 I do offer wholesale on certain designs. Message me with your questions on availability, quantities, & turnaround times! I'd be happy to work with you! Please note that custom orders are not refundable nor exchangeable because they are custom made for you to your specifications...but I do strive to make sure you are 100% happy with your items & make sure you are involved throughout the creative process with excellent communication & frequent updates. Please remove rings before washing hands or applying lotion. Please don't expose the resin pieces to any chemical agents such as household cleaning supplies or perfumes. 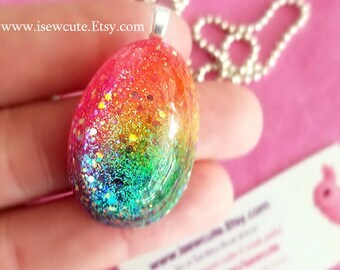 My creations are little glittery works of art...so please take care of them! International customers take note, the customs forms will reflect the actual value of your parcel. I cannot mark the package as a gift, as that would be illegal to do so. All customs fees, VAT, & taxes imposed on your international order are your responsibility. If you ask me to mark as a 'gift' please note that that is not going to happen & you agree with this policy if you are ordering from me. Thank you for understanding.